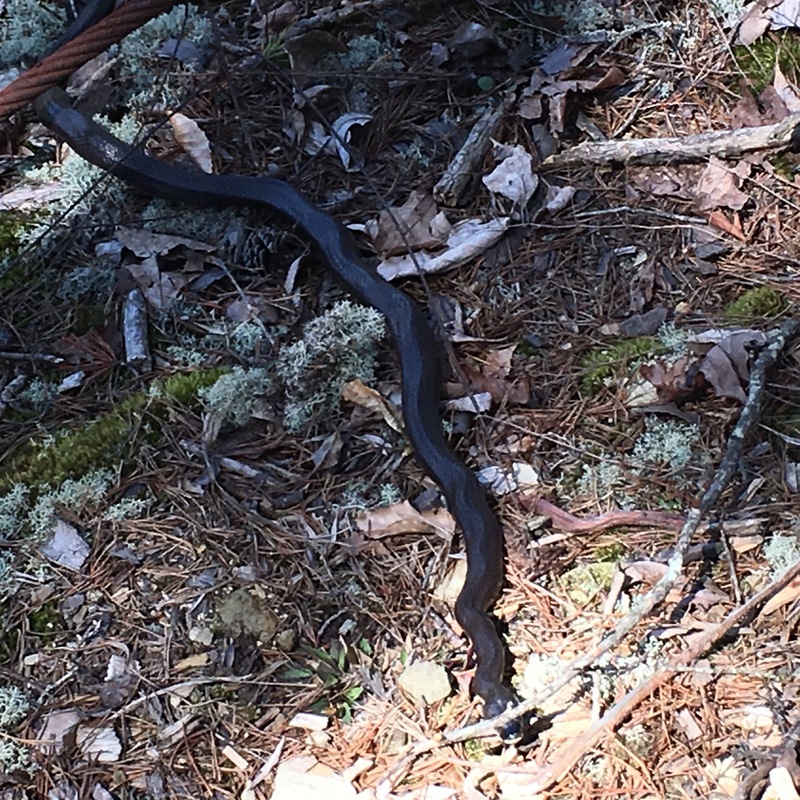 Last year’s June-November Survey of Biota (survey) at the quarries site found some 250 species, but missed the early-blooming ephemeral plants—and the insects that love them. To round out the survey, Devin and Rachel have been noses-to-the-ground for the past few weeks, writing notes and photographing new findings. So far there have been some 150. 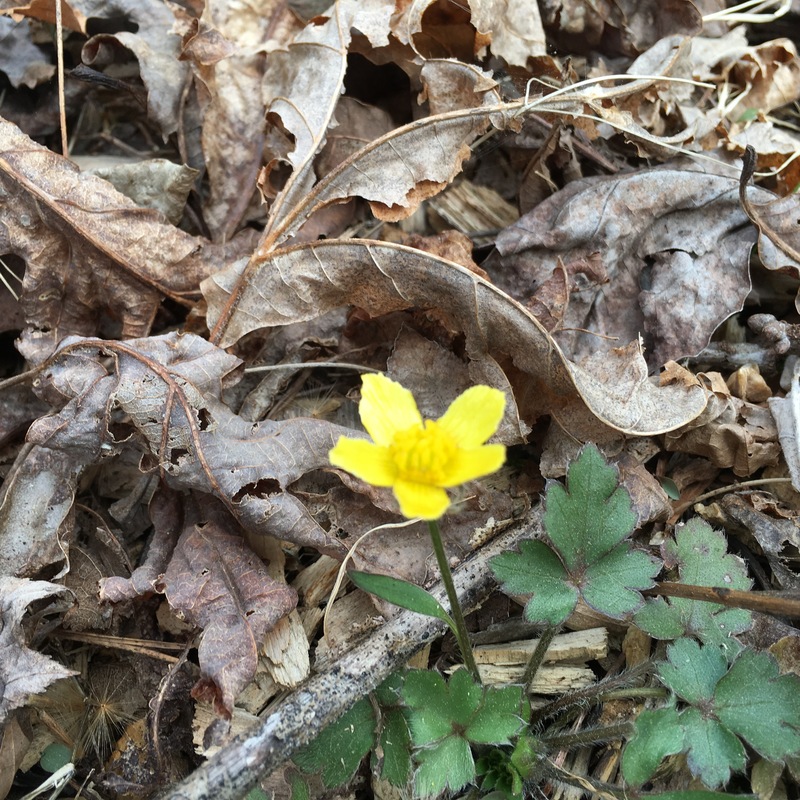 Among them were the morel mushrooms in the featured photo, which popped out briefly on a warm day before the hard freeze caught them the same night. 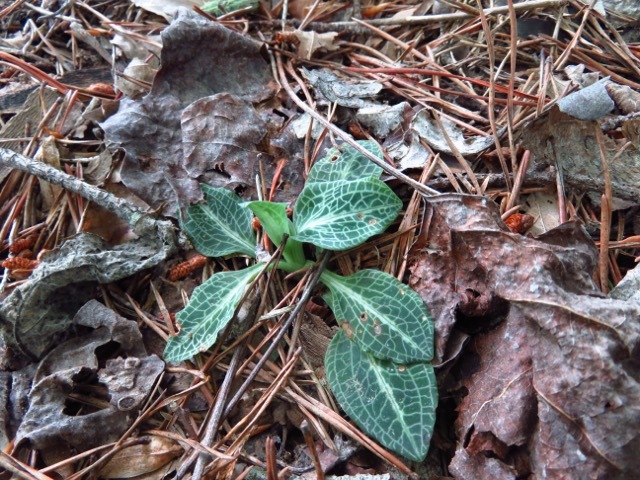 In other news, downy rattlesnake plantain, an evergreen orchid which may be found in our Ecozones 8 and 10 (galleries), has been chosen as the Virginia Native Plant Society’s Wildflower of the Year. It blooms June-August. 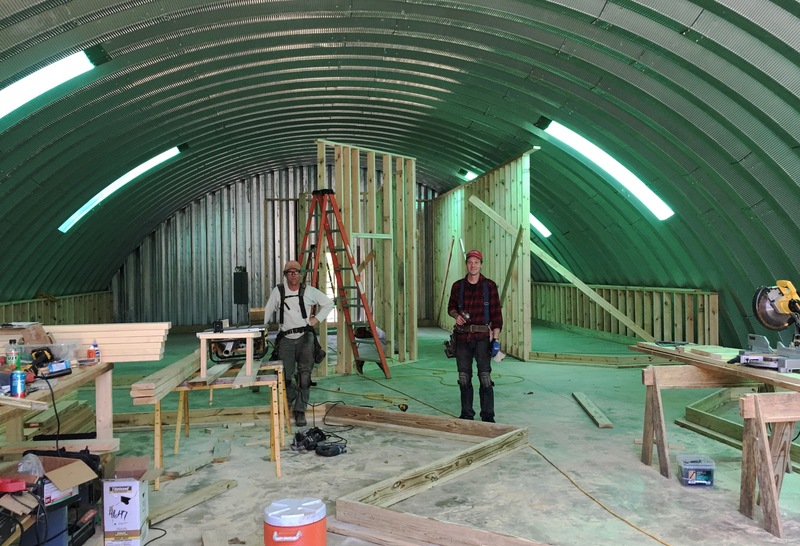 And framing has begun inside the Quonset building. Here, Forest McGuire and Jim Stelling pose with their work. Don’t tell the County we’ve started doing anything, because they want us to wait for the building plans to be approved, which can’t happen until the final site plan is approved, which can’t happen until a hypothetical sewage facility for a hypothetical 3-bedroom house—neither of which we are going to build—is approved, which can’t happen until the “commercial entrance” is approved (for the existing road entrance through which approximately 800,000 tons of large blocks of soapstone on big trucks passed over 25 years), etc., all of which will take another couple of months. We’re too old to wait, so we’ll just have to seek forgiveness, later. At the Quarry Gardens, Devin, Rachel, and the Center for Urban Habitats team have been outlining beds in the various ecosystems and building out plant communities as materials arrive. Thousands of plugs and pots are on the way. Among early arrivals: bear oak, chinquapin, and button bush seedlings purchased from Charlottesville Area Tree Stewards. 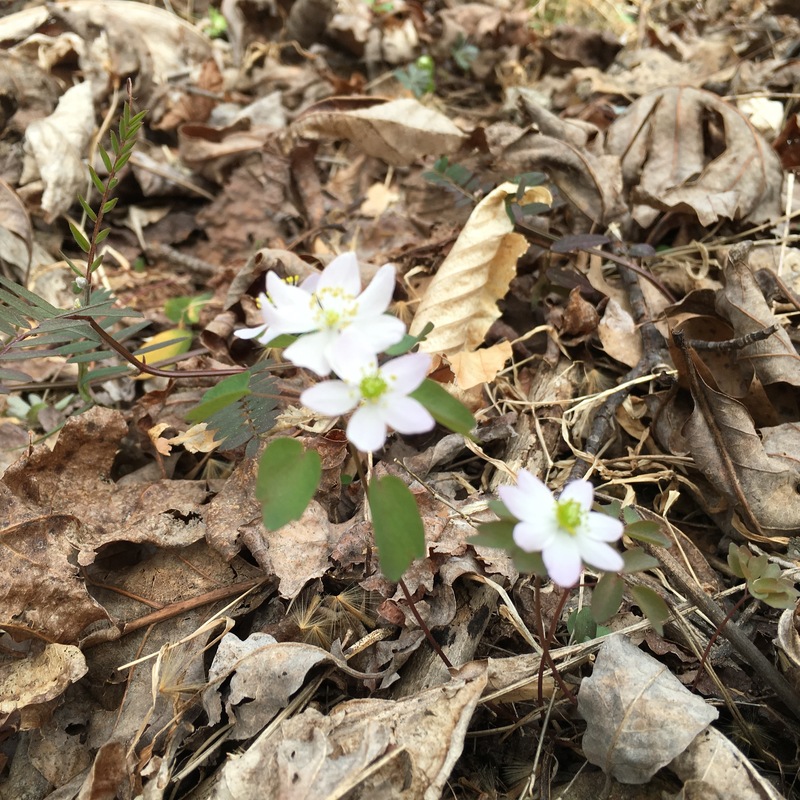 There to greet them were some of the early spring natives. Also in March, Peter and Betsy Agelasto, founders of the Rockfish Natural History Center in Nellysford, came for a visit and exchange of ideas. 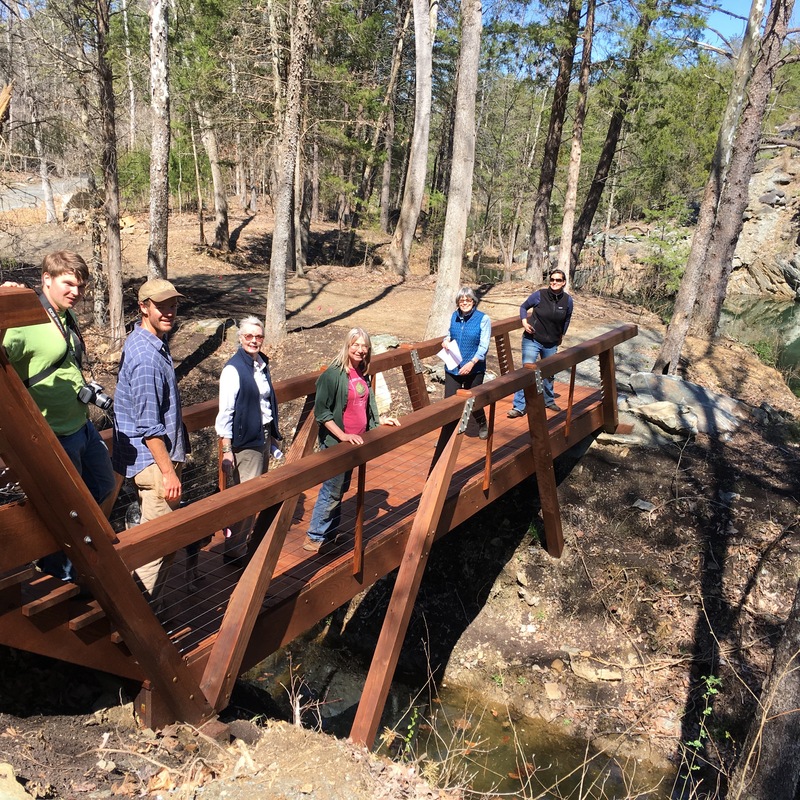 On the 29th, six of Monticello’s gardening staff made a field trip to inspect our progress. Here, they’re posing on bridge Number 1. 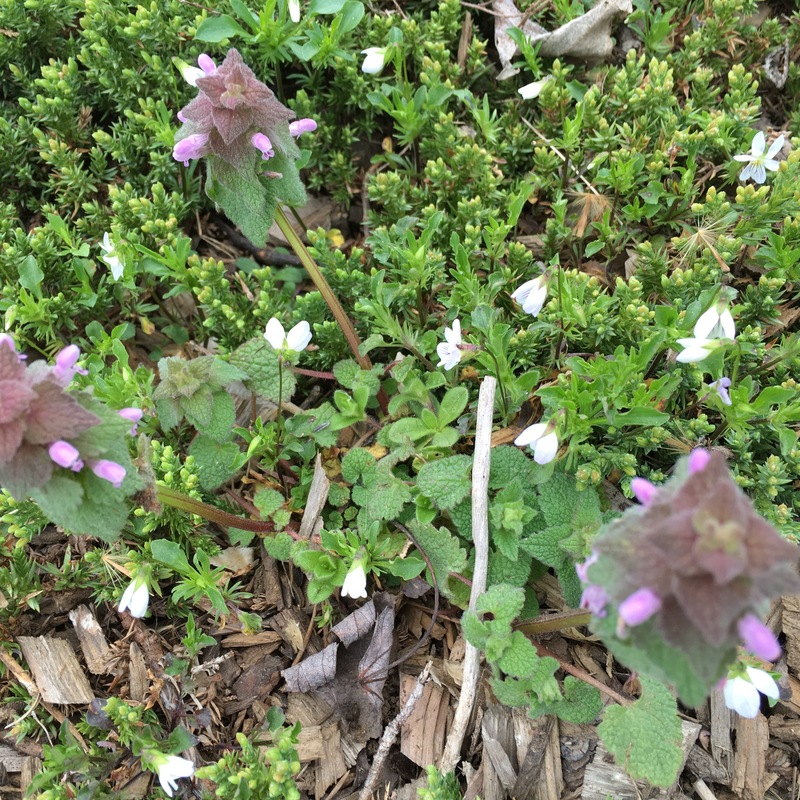 In coming weeks, the Charlottesville Newcomers Club Garden Group will be visiting, as will the Nelson County Garden Club, and the Fluvanna County Master Gardeners. 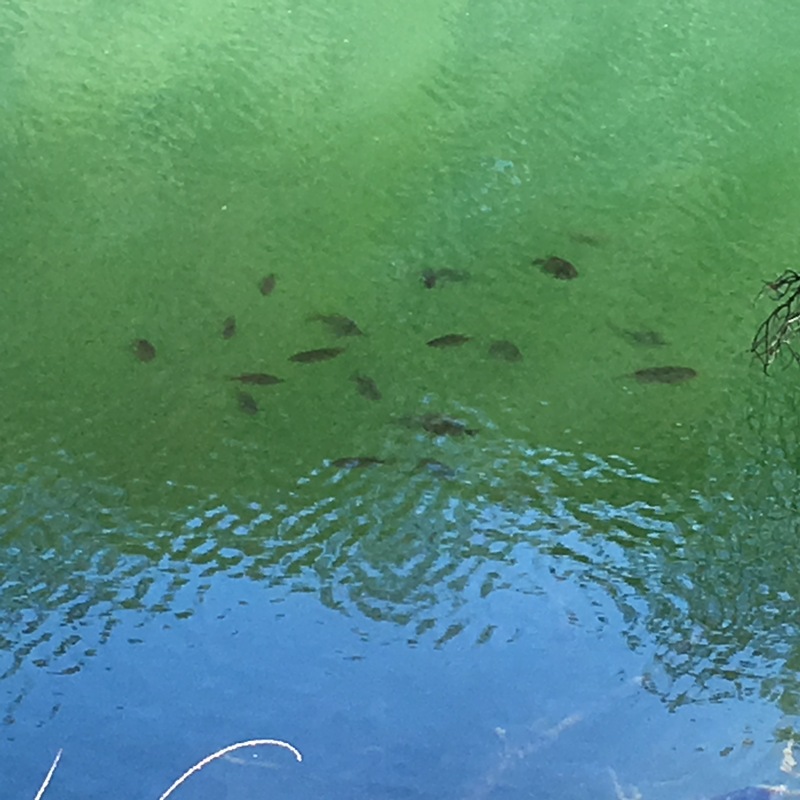 On their walk around the path, they discovered some spring animals, including a 6-ft long black snake and a good-sized school of quarry fish (probably small largemouth bass). Nelson’s director of tourism information got in touch to ask about our proposed seating capacity for meals and rates for booking — a natural error, since lacking a category for botanical gardens, the County has issued us a modified permit to operate a banquet hall (which we have no intention of doing). 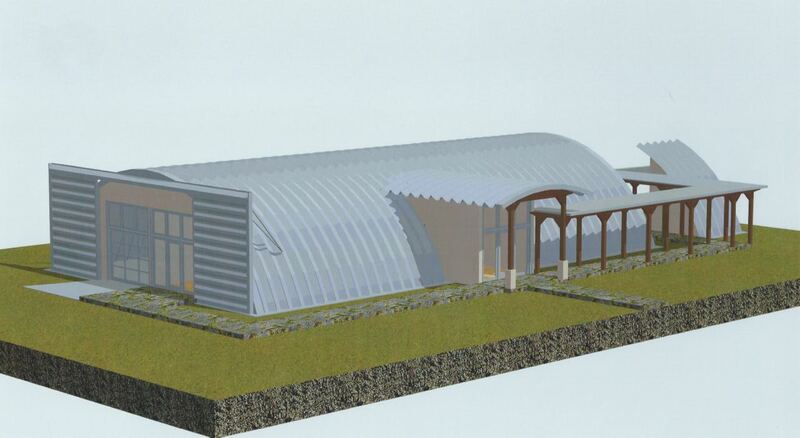 The rendering below, however, shows how our administration building is shaping up in the architect’s concept. As work progresses, we keep updating our Keynote presentation of photos, so we’re always ready to take the show on the road. Had a great time as featured speakers for the March meetings of both the Nelson County Garden Club and the Nelson County Master Gardeners.